Looks like you are getting some autumn color...lovely! Those are so pretty Howard, great shot! Wonderful flowering trees--not sure what they are. 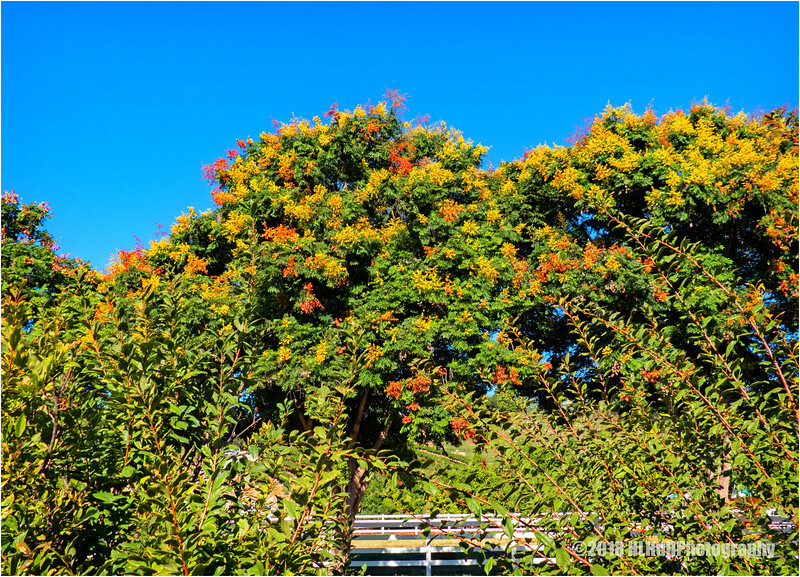 Beautiful burst of fall color against a magnificent blue sky!